John Beasley, MD, one of the UW Department of Family Medicine and Community Health’s (DFMCH) longest-standing and most-honored faculty members, retired in May 2017 after over 40 years of service to the department, the UW School of Medicine and Public Health and the discipline of family medicine. An alumnus of the DFMCH’s third residency class, Dr. Beasley joined the department in 1975 as an instructor and family physician at the UW Health Verona Clinic, where he practiced until his retirement this year. 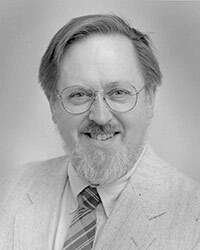 Throughout his career, he held numerous department leadership positions, including predoctoral division director, assistant chair, Madison and Eau Claire residencies program director, and founding director of what is now known as the Wisconsin Research and Education Network (WREN). He’s also been a long-time teacher in several SMPH classes, served on over a dozen SMPH academic committees, and had leadership roles at the Wisconsin Medical Society, the Wisconsin Academy of Family Physicians (WAFP) and the Society of Teachers of Family Medicine (STFM). For the past decade, he was the medical director for the UW-Madison Physician Assistant Program, collaborating with PA Program Director Virginia Snyder, PhD, PA-C, on the program’s 2010 transition to a master’s program. Dr. Beasley, along with Bucky Badger and DFMCH Chair Valerie Gilchrist, MD, unveil a new Babcock Hall ice cream flavor, “Primary Care-amel” at the department’s 40th anniversary celebration in 2010. 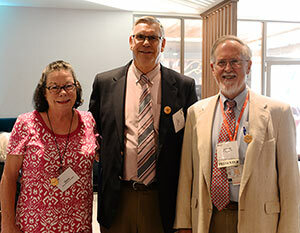 Dr. Beasley (on far right), with ALSO course co-founder James Damos, MD, and former ALSO program manager Diana Winslow, RN, BSN, at the program’s 25th anniversary celebration in 2016. A former Peace Corps volunteer, Dr. Beasley has been an advocate for rural and global health for his entire career, beginning in 1975 when he was named the first director of the UW Office of Rural Health. In 1991, he joined with James Damos, MD, former director of the department’s Baraboo Rural Training Track, to create the Advanced Life Support in Obstetrics (ALSO®) course. This course, now owned by AAFP, is offered in 62 countries and has trained over 150,000 physicians, residents, nurses and EMTs—saving the lives of countless infants and mothers. Dr. Beasley’s deep interest in systems improvement also led him to establish Improving PrimAry Care Through Industrial and Systems Engineering (I-PrACTISE), a interdepartmental collaborative in which scholars, clinicians and learners can conduct projects that improve primary care practice—and ultimately, the health of patients. 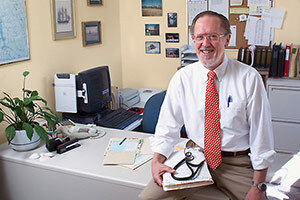 “John has been a dedicated family physician, teacher, researcher and colleague for over 40 years. He has always been one of the most flexible faculty members willing to help the department or clinic in any way possible—as long as he was not traveling or flying! He has always loved teaching with excellent student reviews, and his work with the WAFP and AAFP has benefitted family medicine. His good humor and grouchy caricature of Scrooge will be missed! Dr. Beasley receives the Dean’s Award for Teaching from UW SMPH Dean Robert Golden, MD, in 2017. 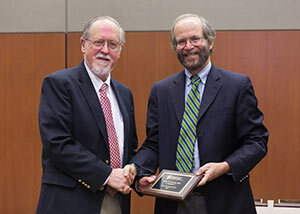 Dr. Beasley has earned many well-deserved awards for his leadership and dedication. He received an SMPH Dean’s Award for Outstanding Service and Leadership in 1995, and a Dean’s Award for Teaching in 2017. The WAFP honored him with a Practice Educator of the Year award, an Outstanding Teacher of the Year Award, and in 2016, its first Lifetime Achievement Award. 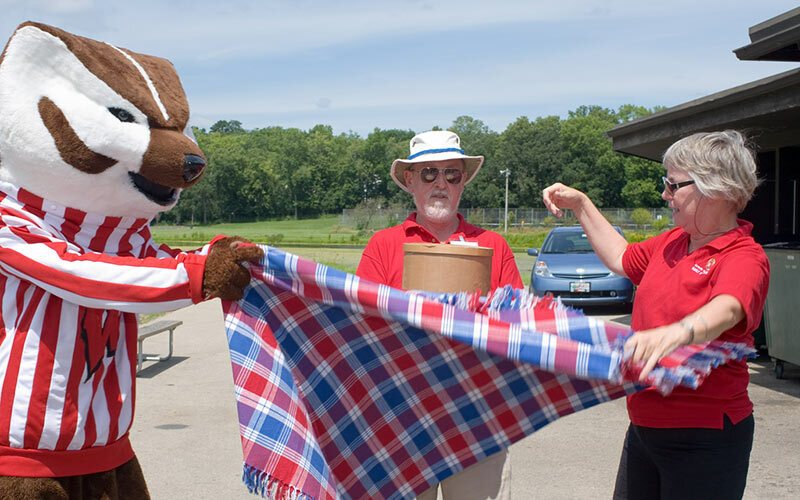 He’s also received four service awards from the Wisconsin Medical Society, a State of Wisconsin Primary Care Health Educator Award and a Certificate of Commendation from the Office of the Governor. 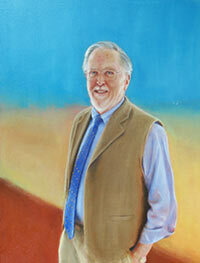 A portrait of Dr. Beasley painted by Mary-Ellen Hagenauer. In 2013, he was named a fellow in WONCA, the World Organization of Family Doctors. In 2016, the American Academy of Family Physicians (AAFP) bestowed on him its highest honor, the Thomas W. Johnson Award for Career Contributions to Family Medicine Education.